Summary: If you feel you cannot do a water-only fast, consider trying one of these fasts. If you feel you cannot do a water-only fast, consider trying one of these fasts. Your body will still receive nutrition, but it will also have some extra energy to devote to healing and repair work. The same guidelines given for doing the three-day water fast apply to each of these fasts. You can enjoy fasting on freshly made juices for a whole day, a whole week or as long as you can do it. A mono-food fast is when you choose one food for its nutrient qualities and eat only that one food for the length of your fast. 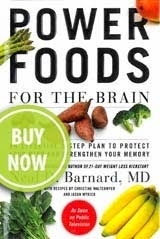 Consult a book like The Whole Foods Companion, which tells you the nutrients different foods contain. Then choose the food you want to use for a day or two and watch your body go to work. • Black grapes. 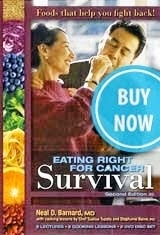 Organic, black grapes seeds are a perfect food and great for mono-food or single-food fasting. Chew the seeds up really well to give your body the micronutrients contained in the seeds. • Pears. 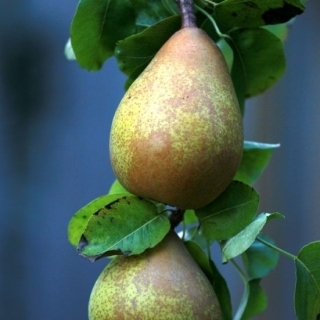 Pears have about seven grams of fibre and are especially good for the digestive system. You need at least 25-30 g of fibre every day. Two pears give you over half the fibre you need for the day and cause good bowel movements. The skin of pears contains quercetin, which makes them a good choice for dealing with cancer and Alzheimer’s. • Melons are fantastic for cleaning the kidneys. Rudy Davis, ND, says, “I’ve seen blood pressure go from 185/135 to 110/70 with just melons, in three days.” Melons are excellent for cleaning out the kidneys and rehydrating the system. Melons are different than any other foods, because of their rapid digestion time. Here is the rule for melons: Eat them alone, or leave them alone. Some people incorporate regular, short-term fasting into their lifestyle. You can choose water, juice, or mono-food fasting and do it one day each week. If you choose to do this, your body will benefit from a regular rest from digestive work and will be able to routinely commit energy to tissue repair. There are some who would be benefited more by abstinence from food for a day or two every week than by any amount of treatment or medical advice. To fast one day a week would be of incalculable benefit to them (7T 134). As you embark on this positive lifestyle change, consider the benefits not just for yourself, but also for those around you and for the glory of God. Why is fasting a good idea anyways?